« Lee Oskar & Friends Live! players…JOIN US FOR THE EXPERIENCE OF A LIFETIME! 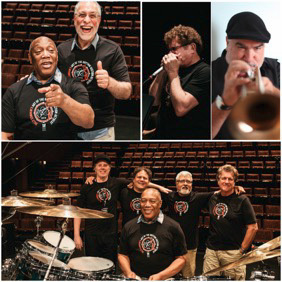 Special Saturday night performance on 7/20 at 7:30pm with Billy and the Crosswinds Project Band at the beautiful Mesa Arts Center with special guests Lee Oskar and Randy Brecker. Early bird pricing good through 4.1.19; after that, locals, students and educators receive 10% discount using code COBHAM10 at registration.